In last March issue Uncut , we brought you the inside story on Neil Young’s long-awaited Archives project. 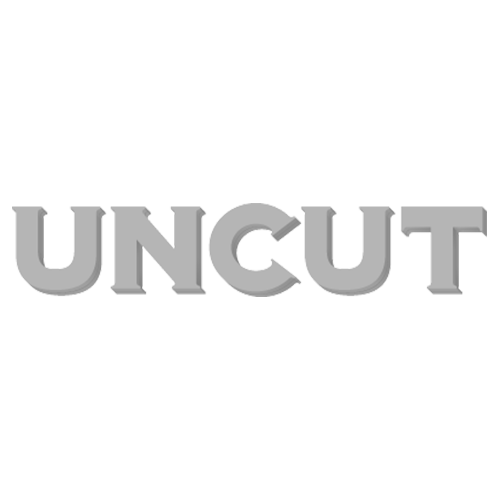 We spoke to his friends, colleagues and conspirators and, over the next few weeks on uncut.co.uk , we’ll be printing the complete transcripts of these interviews. For part one with The Squires’ Allan Bates, click on the link in the side panel on the right. Neil and I were similar in that we were both from split homes. I was a foster child and had lived with my mother for a while, but that didn’t work out. And Neil’s mother and dad had split up, which is why she and Neil came to Winnipeg, because that’s where her father was from. Did Neil and I fulfil a certain need in each other? Quite possibly, but I don’t dwell on it. If that’s true, then it was what it was. I’d go over to Neil’s house often and we’d sit in his room and talk about music. Neil and I were classmates at school. I was just learning to play and he asked me to get a bass guitar from this guy who had one for sale. It was a Danelectro bass that used to belong to Jim Kale of The Guess Who. Some of those early gigs were scary. When you don’t know what you’re doing, it can be really frightening. Before Ken [Smyth] and Allen [Bates] came along in The Squires, we’d practice at Linda Fowler’s home, because she had a piano there [Fowler was keyboardist in Young and Koblun’s pre-Squires band, The Classics]. The community clubs we’d play would be small halls attached to a local sports complex. I suppose I’d thought about maybe making a career out of it, but it was Neil who persuaded me. He was very driven in those days. He wasn’t good at school, except for English, and was very unhappy there. Neil used to play ukulele at his father and mother’s house in Omemee, Ontario and that, for him, was his start. He’d play the ukulele and sing Everly Brothers songs. Then he finally got a guitar, either in Ontario or Manitoba. Once he got that guitar, he was pretty much gone. He was pretty serious about the band. We’d rehearse really well so we knew the songs, and of course, Neil would be writing his own stuff. The Squires’ music went in the form of a progression, from instrumentals to vocals and then original songs. I had an English foster family, so I managed to get the first Beatles album from a friend of theirs. They were a new band and were very popular, so they became a kind of prototype for us. And The Shadows had been a big influence on Randy Bachman and also on The Squires. I used to go and see Randy a lot, as did Neil. We were an instrumental group for some time before Neil decided to sing. He didn’t do too many originals in the set, just a few. The first one I remember with a vocal was “I Wonder”. On one of Neil’s albums [1975’s Zuma] there’s practically a cover of that tune, but called “Don’t Cry No Tears”. I don’t know if the rest of the lyrics are the same, but the second verse of it is the same as the first verse of the original “I Wonder” version. Going into CKRC to record for the first time was amazing [July 1963]. I mean, c’mon, what kid wouldn’t want to do that? I wasn’t so optimistic about making it, I just wanted to learn something from it. We were patronised by a disc jockey at the station, so we got to hear “The Sultan” on the radio a couple of times. It was through him that we managed to get recorded, because the engineer, Harry Taylor, was a fanatic about recording Winnipeg groups. The DJ would come out with us to gigs. We’d give him money and he’d announce the songs. I suppose he was kind of like our own MC. I’d take the money from our gigs and put it into a bank account. Then when he was ready, I took some out and gave it to Neil so he could buy this Buick Roadmaster Hearse. I think it dated back to 1948. I mean, it was old. That’s why it broke down in Blind River, Ontario [later immortalised in “Long May You Run”]. We’d play some strange places. There was a club called The Hudson Hotel in Churchill, which was way up north in Canada. We played there in April or March, there was snow on the ground and it was freezing. It was up about as far as you could get in Manitoba. The only place further north would be the Yukon or some places in the North West Territories. We’d play the 4D, which was a folk club, on Saturday afternoons. Neil really wanted to amalgamate folk and rock, even before everyone else was doing it. He wanted to give new arrangements to certain traditional songs. When we got there one night, The Company were playing, which was the group Stephen Stills was in. I suppose it was quite an historic moment. I’m not sure exactly what went down between them, but I know they almost made a pact to meet up later. It actually turned out to be a year later, which was when the Buffalo Springfield got started. Neil was driving the hearse down Sunset Boulevard in Hollywood and Stephen and Richie were in a car going the other way. They recognised the hearse and saw it had Ontario licence plates, so did a quick U-turn and directed Neil to go to this parking lot. And that was the cementing of the Buffalo Springfield. I’d actually met Richie Furay before, in New York. Neil and I had done a gig on Halloween at a ski resort in Killington, Vermont. After that we decided to go straight to New York to see Stephen [November 1965]. But Richie was living there instead. He was the cousin of the lady who put us up for a couple of days. Neil had written “Nowadays Clancy Can’t Even Sing” in the early days in Toronto, after he’d left Fort William, and he played that song for Richie when we got there. I remember Richie was really interested in it. He thought it was a really cool song. Neil may have written “Sugar Mountain” while he was in Toronto too. He had a 12-string acoustic guitar and would play folk houses on an ad hoc basis, as and when he could, so he could make some money to live on. He was pretty scared when he was in Toronto, because he wanted a career in music but the doors weren’t opening for him. It was a difficult time. That’s why he ended up eventually going to Los Angeles. The original Squires really broke up in ’64, when Kenny [Smyth] and Allan [Bates] left. Neil and I got some other musicians and went our own way, but it was a lot more off-the-cuff after that. When it came time to go to LA, I actually preceded Neil there. It was the very beginning of the Buffalo Springfield, which was just Stephen, Richie and myself. Stephen had called me up in Regina and told me he had a group and could I come down. When I got there, he didn’t really have a group, but was adamant about starting something with Neil. He knew Neil had left Toronto and was driving to Los Angeles. So if that chance meeting on Sunset Boulevard hadn’t happened, a lot of things wouldn’t have been done. How was the dynamic of Buffalo Springfield when I stepped back in to replace Bruce Palmer later on? Well, let’s just say I thought it was going to be for a while, but it turned out shorter than I thought. I played with them on their first tour in ’67. We ended up playing three places, then we called it off. Stephen was saying something about not fulfilling their contract, but I wanted to stay with the band. Neil only mentioned it afterwards, when he said he could have maybe provided me with a cassette tape of the bass parts because I don’t think I was playing them correctly. Neil had already left the band before. For some gigs he didn’t even show up. I was surprised when Neil dedicated “Broken Arrow” to me. I thought it was a good gesture because it showed me that he didn’t carry any animosity towards me. I notice some CDs don’t have the dedication on there, but it may be there on Archives. Neil has a unique way of writing. He writes what some people might even call weird songs. And he changes his point of view from time to time, but he’s steady and sturdy inside. The last time I saw him was 1991, I think, after he’d done a concert in San Francisco. He was playing at Cow Palace with Sonic Youth and maybe another band [Social Distortion]. I went backstage to say hi and we talked for a few minutes. Sonic Youth were using a lot of feedback and I think Neil picked up on it and used it to effect on the album he recorded [Weld]. Neil was deemed the Don of Grunge at some point. He had such a unique sound and he’d work on it until perfection, even in the early days. He had this Fender Deluxe amp and a guy who knew electronics would work on it for him so that he could change the sounds from this big red pedal he had.